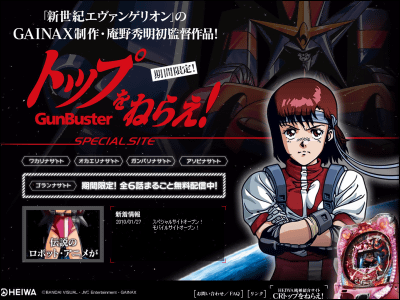 Gunbuster is a six episode OVA series created by Gainax in 1988, the directorial debut of Hideaki Anno(Neon Genesis Evangelion, Nadia: The Secret of Blue Water). Whole six episodes of the cult favourite are now streaming online for free. 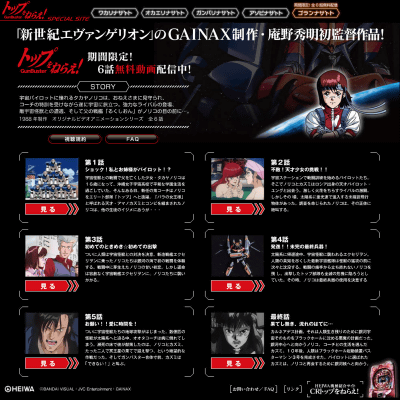 A special website was launched for the streaming. 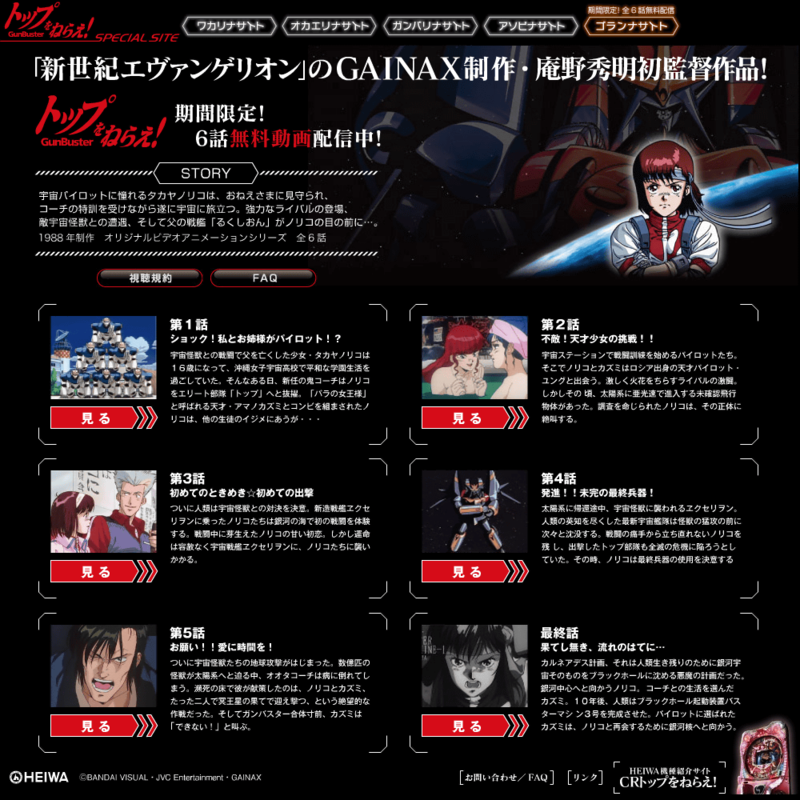 The whole six episodes are streaming for free. 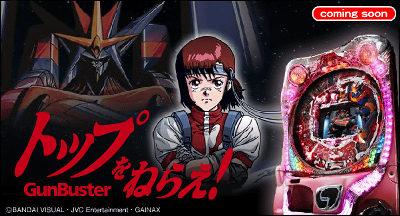 By the way, Gunbuster is becoming a pachinko machine soon. 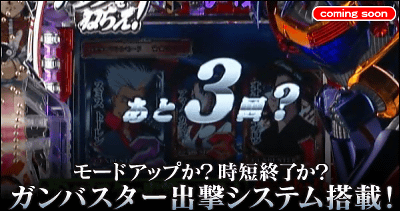 Seems like the free streaming is part of the pachinko's promotion, nevertheless a great opportunity if you haven't seen the anime before.